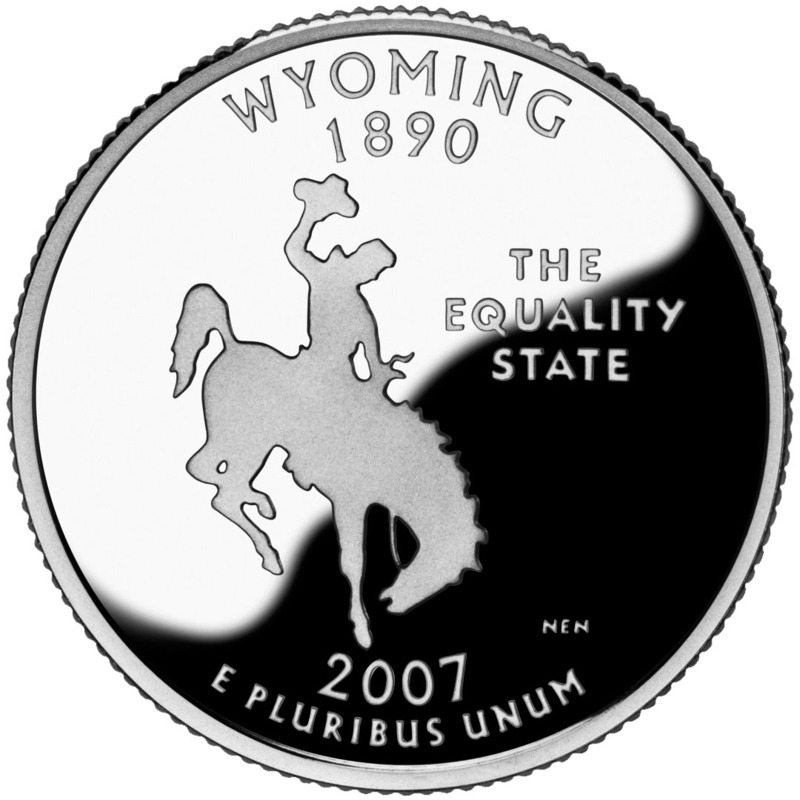 The U.S. Mint's bicentennial commemorative quarter for Wyoming features the state nickname (The Equality State), and the outline of a cowboy and bucking bronco (the bucking horse & rider emblem is the official registered trademark of Wyoming, and rodeo is the state sport). 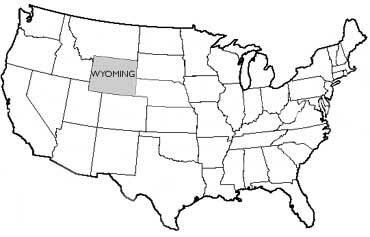 Wyoming became the 44th state in 1890. Public domain image on Wikipedia. Wyoming quarter; Photo by [file:field-file-photographer]/[file:field-file-source] ([file:field-file-license]). Wyoming was the first state to grant women the right to vote in 1869 (more precisely, women were granted the right to vote so there would be enough voting citizens to meet the population requirement for statehood). This action lead to the nickname The Suffrage State and then later The Equality State. A cowboy on a bucking horse is Wyoming's official registered trademark), which led to some calling Wyoming The Cowboy State (the cowboy and bucking bronco emblem also appears on the U.S. Mint's bicentennial commemorative quarter for Wyoming).